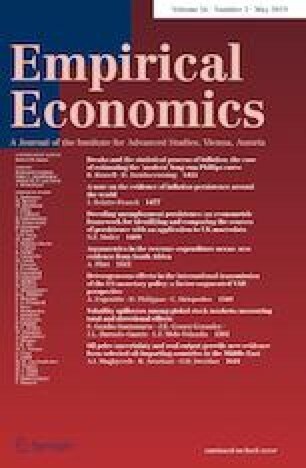 This paper aims to examine the long-run nonlinear relationship between economic growth and CO2 emissions for the Sweden economy by using a long span of annual time-series data over the period of 1850–2008. We applied novel multivariate adaptive regression splines (MARS) model suggested by Friedman (Ann Stat 19(1):1–67, 1991) and also employed threshold cointegration approach suggested by Sephton (Comput Econ 7(1):23–35, 1994) and Sephton and Mann (Energy Econ 36:177–181, 2013a, J Econ Econom 56(2):54–77, 2013b) to investigate the presence of both nonlinear cointegration and asymmetric dynamic adjusting processes between economic growth and CO2 emissions. The results provide the presence of nonlinear cointegration between economic growth and CO2 emissions. The environmental Kuznets curve (EKC) is verified with the estimated turning point in 1970. This rough estimate mainly explained by the implementation of Naturvårdsverket in 1967, the increasing use of nuclear power and the Swedish Environmental Protection Act (Miljöskyddslagen) in 1969. The findings also suggest a three-regime threshold cointegration model for economic growth–CO2 emissions nexus. Thus, the speed of adjustment in emissions function around the long-run equilibrium depends on the threshold behaviour. The adjustment back to attractor is asymmetric: it differs if the disequilibrium is above or below the critical threshold point. The asymmetric adjustment in CO2 emissions is much faster than GDP per capita with 75% response to disequilibrium. We thank Professor Peter Sephton for providing his MATLAB code and for his useful comments on an early version of this paper.